Here’s a sad fact – many people quit when they are about to succeed. Normally they get 75% into a project and quit. Often times the rough patches along the road become tougher around that mark. So, if your mindset is not in the right place, then you will not be able to surpass the roadblocks and break free of the shackles in your life. And if your business is not doing as well as you want it to, because you are frustrated, overwhelmed, losing your focus, or haven’t launched your product yet…then you’ll want to pay close attention to this video series. I’ve been there too, so I understand where you’re coming from. We all have. Most people are unable to reach their full potential simply because their subconscious stops them from doing so. Their subconscious tells them that they don’t have ‘enough’ to move forward. You may not even realize these roadblocks because you’re too busy thinking that it doesn’t work, that it’s not going to work unless you have something else, or you’re just not ready. It’s easy to blame others for your own actions, and is also easy to blame yourself for your actions too. However, the best way to deal with this is not to blame yourself or others, but to understand what is stopping you, and how you can bypass it. Like I said earlier, it’s easy to blame others for your actions. 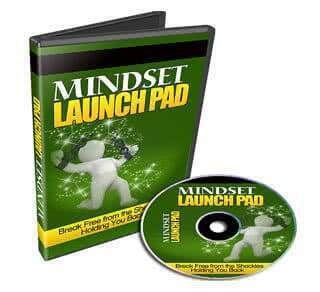 This specific mindset roadblock can in fact deal with others possibly blocking you from taking action, however your reaction to it will be important, and I’ll show you why and how. You’ll learn a strategy that you can use that will help you break free of this specific roadblock and in fact…just doing this one thing will change your business relationships forever. Now that you understand the first four mindset roadblocks, it’s time we switch modes and discuss how you can activate your positive mindset and move forward. These strategies will help you speed things up by making things fun, and turning them into a game. You’ll also learn which resources and tools you can use to help support yourself. Being self accountable allows you to push forward without the “constant” need for support from others. You need to understand how to become self motivated and self accountable if you want to survive, because while it is important to get support from others, this is a mindset you’ll want to have. 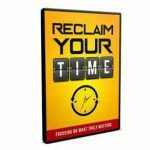 In this specific video, I will reveal to you a simple spreadsheet that will help you become more self-accountable. So…with that said, grab this video series now and learn how you can break through the roadblocks by making simple changes in your mindset, so that you can launch your business and a product. 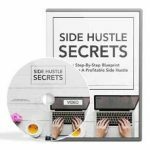 This is the most risk-free way to breaking free from the shackles in front of you that are stopping you from being productive and launching your business or product. Imagine, feelings of being overwhelmed and frustrated…GONE. 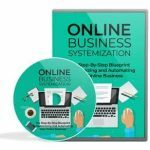 Once you have gone through this video series, and have changed your mindset for the right reasons, everything you do online will be done faster, easier, and better than you ever did before, simply by watching this 8 part video series.